I love Hungary. Such a beautiful country with wonderful people and delicious food. Budapest is an amazing city. That stunning bridge crossing the Pest, the Fisherman’s Warf, the markets… I think it’s one of the most beautiful cities in Eastern Europe, if not the most. It’s architecture has that classic Viennese influence. Most people just talk about Prague, because it’s such a tourist hot spot. While Prague is a gorgeous city no doubt, I still prefer Budapest all and in all. We’re definitely going to get to more Hungarian cuisine in the future, but for now let me introduce you to something I just made that was absolutely delicious! 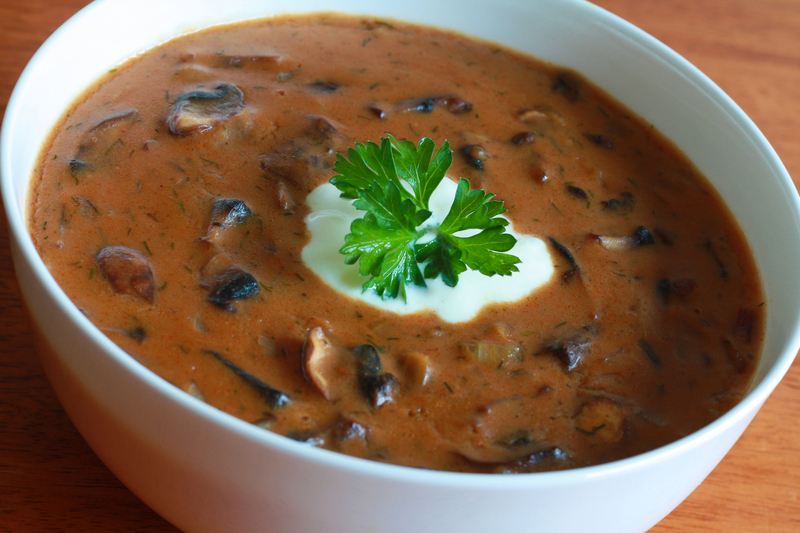 A heavily Hungarian-influenced mushroom soup.